This is a sponsored conversation written by me on behalf of Maurice Sendak Foundation. The opinions and text are all mine. Maurice Sendak is an author you are probably familiar with… he wrote Where the Wild Things Are. Is there anyone out there who doesn’t love that book? I doubt it. I admit though, that was not the first Maurice Sendak book I was ever introduced to. 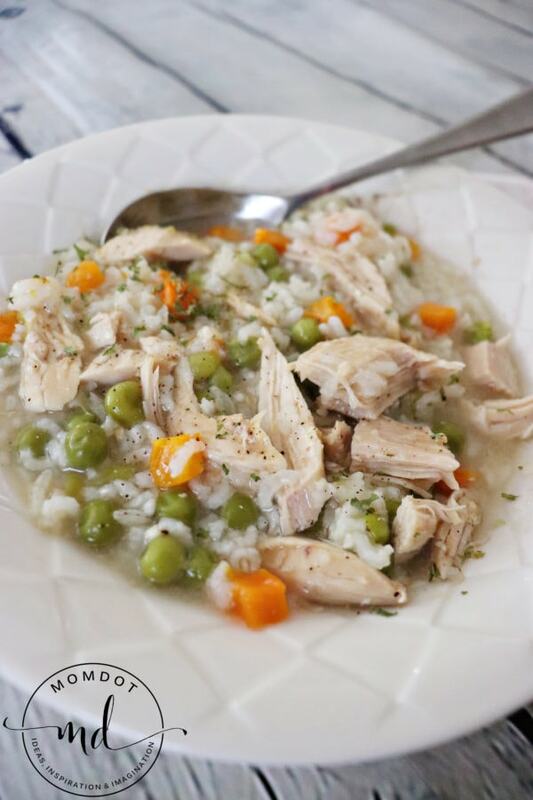 It was a cute little thing called Chicken Soup With Rice. 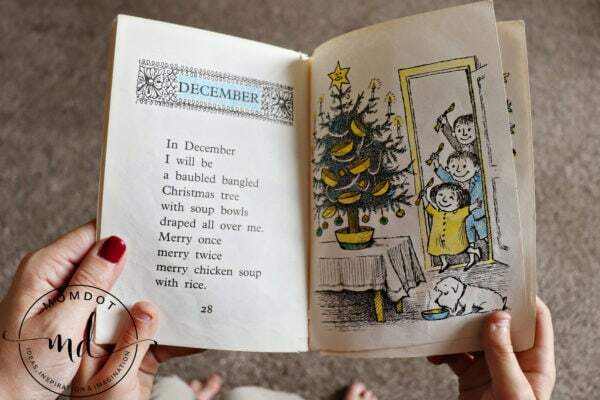 I still remember exactly where I was (in my 1st-grade classroom) and who I was with (my best friend, Ashlee) when our teacher read that book to us. I was hooked from the first page. The illustrations enchanted me and the imaginative verses enthralled me. I have loved it ever since. I’ve kept a copy all these years. The book is very well-loved (falling apart) and I have shared it with my children as a bedtime story too many times to count. I recently became aware of the Maurice Sendak Foundation which is devoted to promoting greater public interest in and understanding of the literary, illustrative and theatrical arts as well as promoting the artistic legacy of Maurice Sendak. I’m so glad that these books are continuing to be shared for generations. Today I sat down with my son Jonathan and we read some of Maurice’s books. 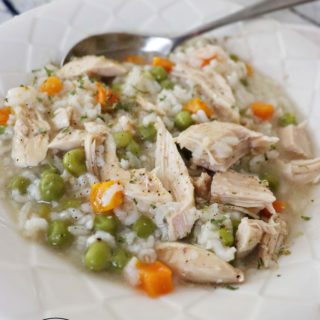 For example, we started with Chicken Soup With Rice. Then we moved on to Outside Over There, In The Night Kitchen, and Presto and Zesto in Limboland. In fact, this last one was actually released on September 4th, it was discovered years after Maurice Sendak’s passing and co-authored with his longtime friend, Arthur Yorinks. How incredible! Boy did Jonathan and I love reading these books. They are charming and fun and perfect for little kids and adults alike. I realized with Christmas right around the corner I wanted to share these with you because they would make wonderful gifts for many of the loved ones in your life. 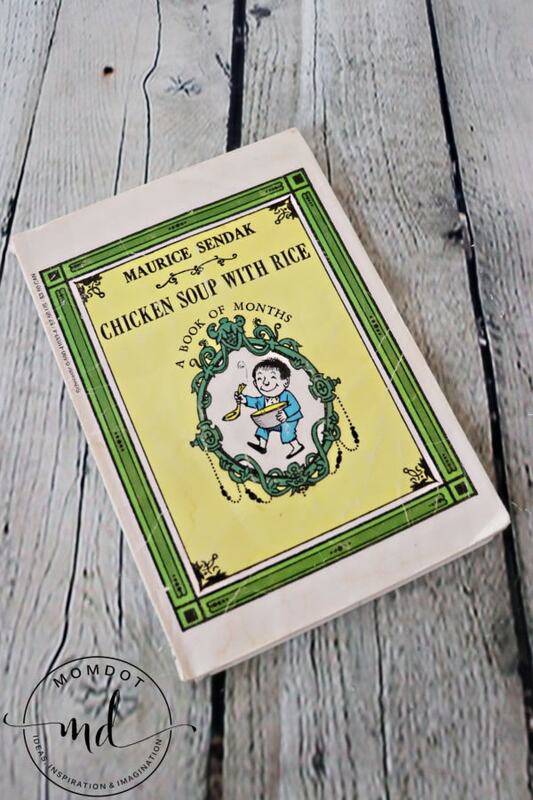 And I also wanted to share an easy recipe for Chicken Soup With Rice, in honor of the first Maurice Sendak book I fell in love with. 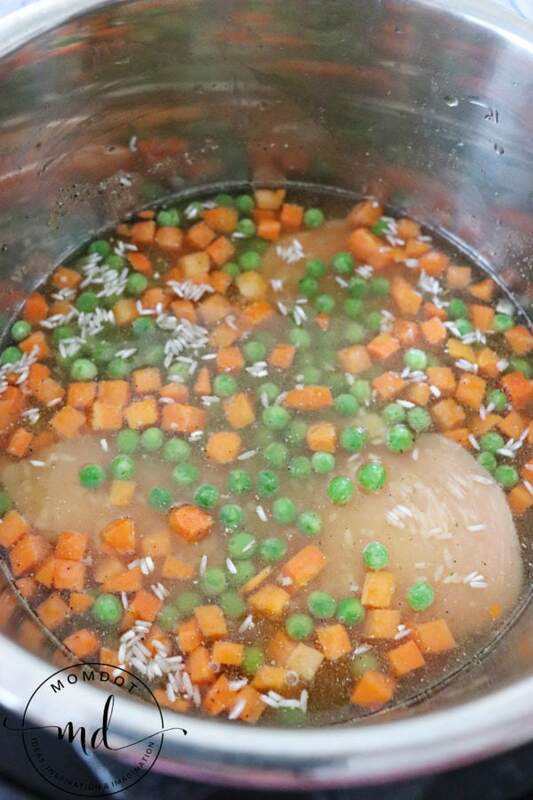 First, put your chicken breasts in the pot. I used frozen and they worked great. If you don’t use frozen you may need to adjust the cooking time accordingly. 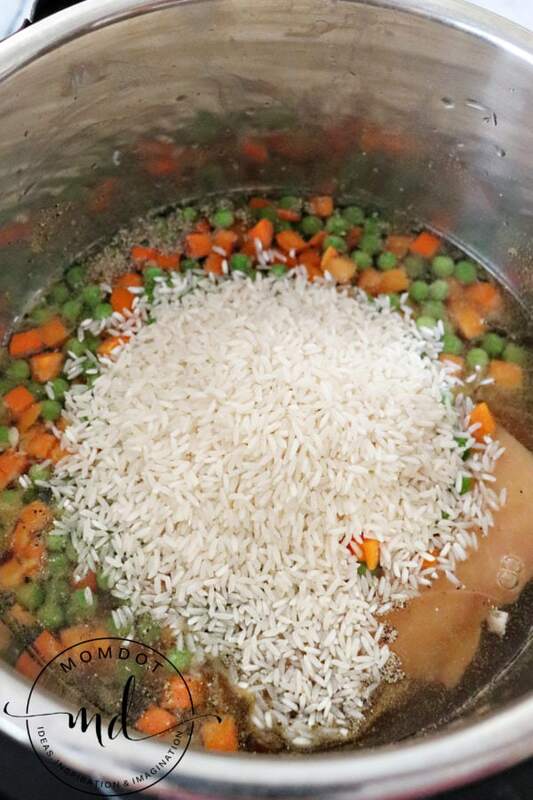 Second, pour in your water and chicken broth. You can vary the water a little bit depending on if you want a thicker-type stew or more broth in your soup. Third, add garlic, onion salt, salt, and pepper. 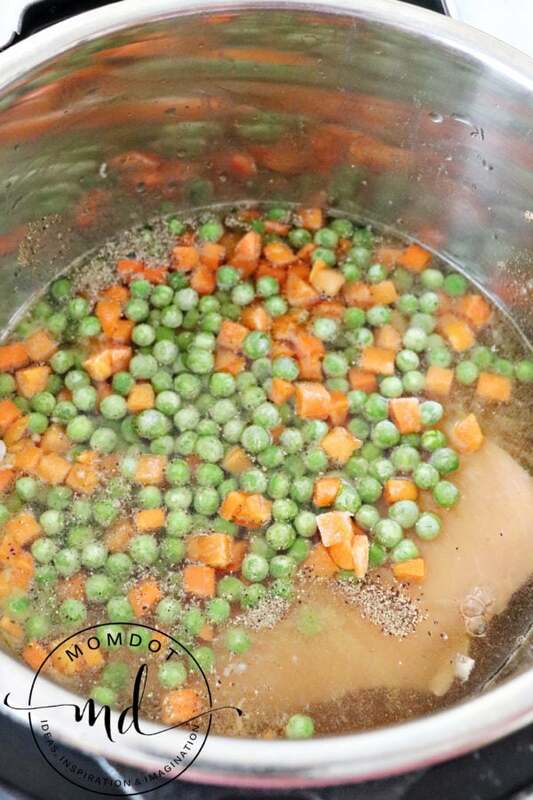 Fourth, stir in peas and carrots. Then, mix to cover everything with the broth. Next, set your pot and let it cook. Then, let it do a natural release first, before doing a quick release. Finally, remove the lid, shred the chicken, and serve right away. 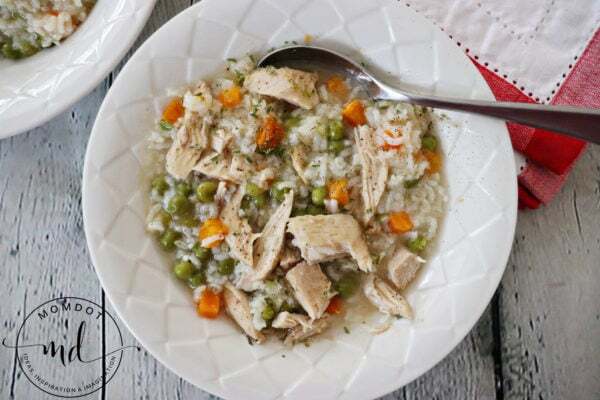 A quick combination of chicken and veggies makes this soup perfect to enjoy for both a busy school night or a relaxing weekend evening. 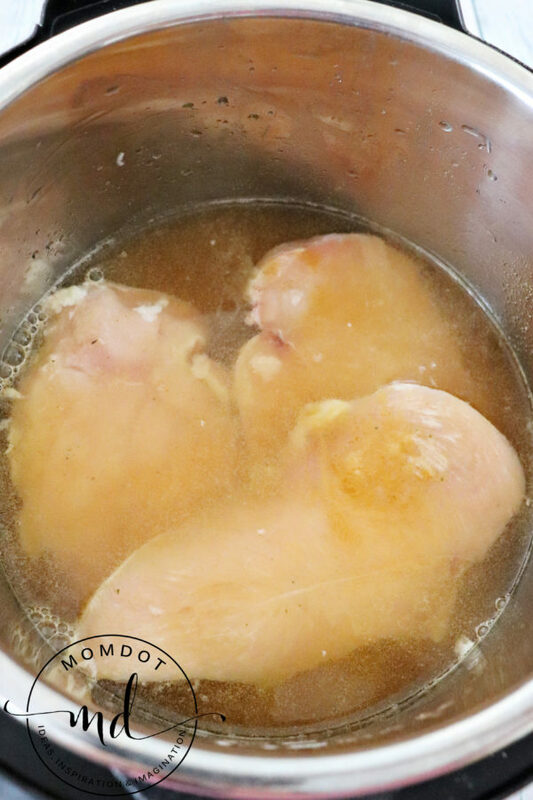 Place chicken breasts in pot. Stir in garlic, onion, salt and pepper. Cook on manual at high pressure for 12 minutes. Let pressure release naturally for 12 minutes. Then turn the valve to quick release. Remove lid. Shred chicken with a fork. I loved eating the soup for dinner tonight. I loved, even more, sharing a piece of my childhood with my son. 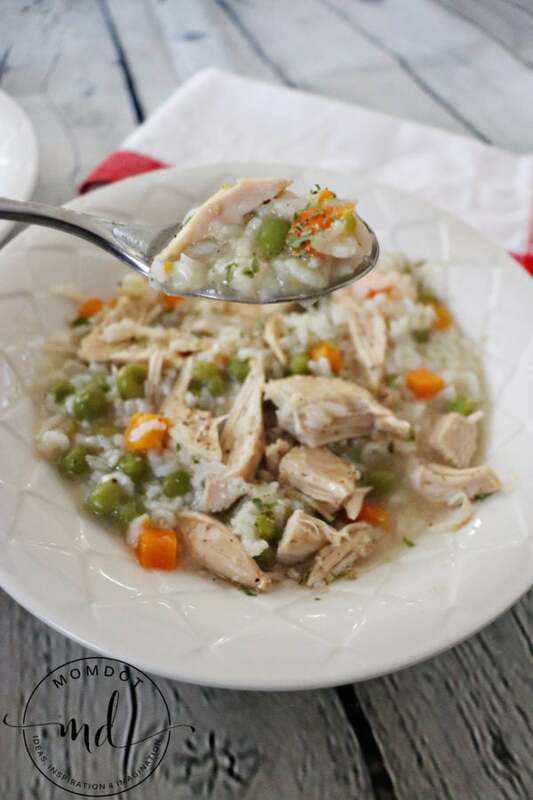 Specifically, as we read Chicken Soup With Rice. 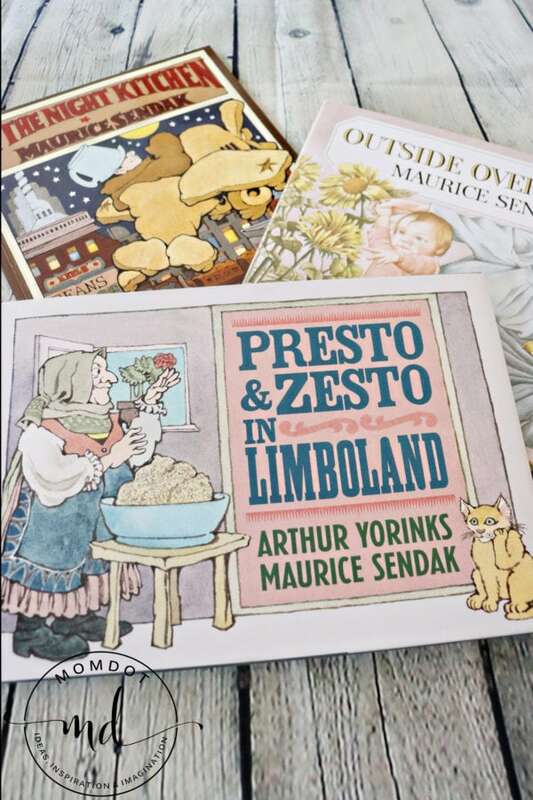 But also reading Presto and Zesto in Limboland, and many other books by Maurice Sendak. Really, it was a walk down memory lane all while creating new memories with my child! I can’t wait to buy some more to add to our collection. My kids are going to love getting these as gifts this year. Be sure to click here to visit the Maurice Sendak page on Amazon to check out all of his books and find the perfect gift for all ages! 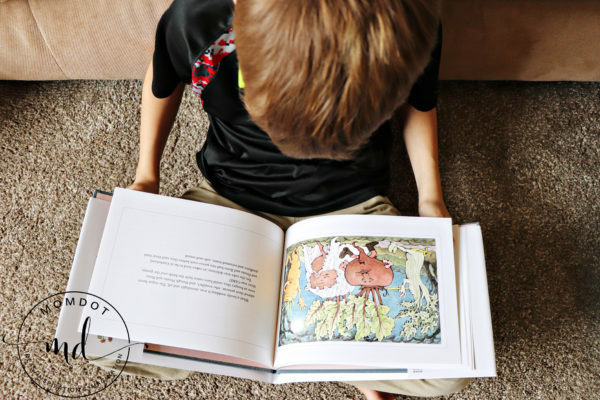 Click here to learn more about the Maurice Sendak Foundation. Not in the mood for chicken? Click here to find an awesome recipe using sausage.